Midtown Thai Massage at Siya Healing Spa offers many varied massage styles and types. Review our Services here to find one that fits your needs. From Relaxation to Healing and everything in between Siya Healing Spa will certainly have something to fulfill your desires. Try Yoga Massage, Deep Tissue, Sports, Swedish or any one of those listed here. All services listed here are also available at our other branches in Elmhurst Queens and the Upper West Side. Thai yoga massage done without oil, and you remain fully clothed during the treatment.Thai Yoga massage increases flexibility, releasing both deep and superficial tension, enhances the body’s natural energy flow, and promotes inner peace with a quiet mind. Initially affecting the physical body, this work consists of slow rhythmic compressions on the muscles, deep flowing stretches and thumb presses on specific energetic pathways and use palms, knees, forearms, elbows, and feet. This treatment induces deep relaxation, energizing, and flexibility brings body back into balance can then gradually reach the more subtle life forces – the emotions, thoughts, and senses. Thai combination of treatments which integrate all massage techniques, which combines Eastern and Western massages, long deep stroke and stretching techniques to relax and soothe muscle tension relaxation with aroma oil, stretching, and tension relieving.The benefits are both immediate and long term; a perfect solution to rebalance and renew your body’s equilibrium and sense of well-being. 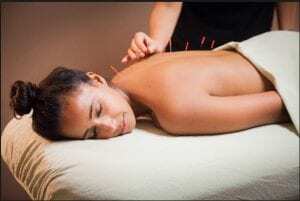 This massage focuses on manipulation of both shallow and deeper layers of muscles and tissues, often requiring intense, focused pressure by the therapist. The deep tissue massage is designed to address severe tension or pain in the muscles and connective tissues. A full-body massage with oil, using long gliding strokes and soothing manipulation of the upper layers of the muscles to promote relaxation, and stimulates the skin and nervous system. Scented oils are optional and always available. This is a physical treatment primarily used to treat musculoskeletal pain and disability. It most commonly includes kneading and manipulation of muscles and joint mobilization. Also called “Reflexology”. this is an alternative medicine involving application of pressure to the feet with specific techniques using the thumb, fingers, and the whole hand. The healing hot oil massage is a great therapeutic massage that helps to improve your sleep, control arthritis, relieve muscle atrophy, and itchy skin. It is a relaxing massage to sooth muscle fatigue, improve flexibility, enhance immunity and nourish your skin. The hot herbal compress contains numerous herbs tightly bound in fabric which is steamed until piping hot and firmly rolled. After a full-body, pressure point Thai massage, the hot herbal compress is pressed or pounded over the entire body in order to soothe muscle and stimulate the vital organs and senses. This therapy technique involves two therapists working simultaneously to combine thai techniques to help improve circulation, promote relaxation, increase awareness, vitality, creativity and energy. The Thai Medical Message is a holistic approach to health and well-being, developed over thousands of years, which includes proper nutrition, physical exercise, the use of medicinal herbs, and therapeutic massage. Thai Medical is back, shoulders, neck, hips, legs, headaches, and much more. It’s a unique and powerful system, consisting of a deep, full-body treatment, combining rhythmic massage, applied pressure to the sen lines(energy lines), stretching of the joints and muscles, gentle twisting, energy work and meditation. We use our knowledge, techniques, and best practices to work on whatever musculoskeletal problems and muscle pains you may have. We use hands, elbows, knees and feet to massage and stretch your problem areas. Our technique is not “light and soft” yet gentle, and the results are great. You will experience a state of relaxation and can return to your normal life, strong and rejuvenated. Chi Kung is known as the Art of Efortless Power, and unifies the inner and outer capabilities of the human body to encourage awareness of your movements in relation to space. This gentle exercise has profound effects and is a superior wellness practice. Many people consider this art life-altering for the better, and turn to this practice for stability and enlightenment. 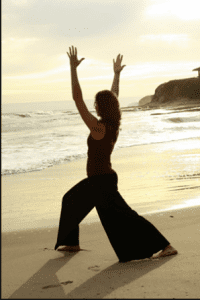 Chi Kung or Qigong is a holistic system of coordinated body posture and movement, breathing, and meditation used for health, spirituality and martial arts training. Chi Kung practice typically involves moving meditation, coordinating slow flowing movement, deep rhythmic breathing, and calm meditative state of mind. Qigong is now practiced throughout China and worldwide for recreation, exercise and relaxation, preventive medicine and self-healing, alternative medicine, meditation and self-cultivation.